Rail technology leader Bombardier Transportation in Australia has received EN 15085 Railway Applications for Welding of Railway Vehicles and Components Certification, the first rail company in Australia to achieve this certification. With the announcement, the Welding Training Centre at Bombardier's Dandenong site in Victoria is now an accredited facility for securing and growing local welding capabilities and for delivering industry-recognized certifications to staff, external suppliers, and industry partners in Australia. "As a local manufacturer, Bombardier is proud to be the first organization in Australia to achieve this certification," said David Collomb, Dandenong Site General Manager and Head of Operations for Bombardier Transportation in Australia. He added, "This certification demonstrates our local capabilities and overall competitivity in the Australian fabrication and manufacturing sector. It is key for Bombardier in Australia to uphold standards and lead the way in quality rollingstock manufacturing. 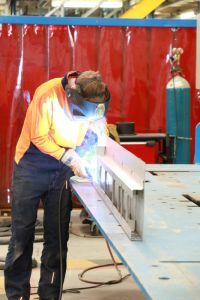 Investing in skills and capabilities is the best way we can support and grow a sustainable rail industry in Australia." Over the years, Certification EN 15085 has become the standard for railway manufacture and repair worldwide. This certification enables the Dandenong site in Australia to manufacture carbodies to the latest European Standards. 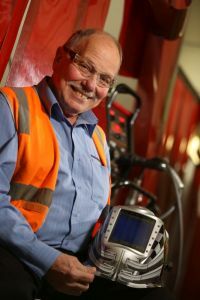 Bombardier offers welding courses for internal and external candidates and our Dandenong facility has trained and qualified over 40 Bombardier welders in addition to several key supply partners. Bombardier Transportation has been active in Australia for more than 60 years as a complete rail solution provider. With local design, engineering, manufacturing and delivery capabilities, it also provides solutions for signalling, propulsion and control technology, asset management and through-life support to our customers. With more than 1,000 employees spread across every state, Bombardier has delivered an extensive and diverse portfolio of winning mobility solutions for Australia's rail ecosystem.